Grab your Resorts World Sentosa promo rates now! 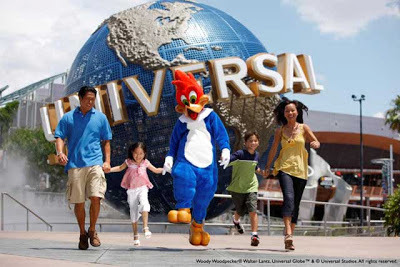 Singapore is host to the nearest Universal Studios to the Philippines. I got to enjoy the theme park during a recent trip to Sentosa. I must say, it's really a great experience, especially for families with kids. But even those young at heart will enjoy the exciting movie-themed rides. And since it's summer, now is the perfect time to go to Singapore (or go back if you've already been) with your family and friends! Check this out, if you book between now and August 29, 2013, you can avail of super affordable and must-avail hotel deals and attraction offers using your BDO Credit Card. Rates are SGD608 nett (low) & SGD708 nett (peak) for stay period from May 1 to May 23, 2013 and SGD688 nett (low) & SGD788 nett (peak) for stay period from May 24 to August 31, 2013. SGD50 Package for one (1) S.E.A. AquariumTM & Adventure Cove Water ParkTM Adult One-Day Pass. Promo period is from March 20 to August 29, 2013. 1. The promo is open to all active BDO MasterCard, Visa, JCB, UnionPay and American Express Credit Card Cardholders. 2. Promo period is until May 31, 2013 for Universal Studios SingaporeTM Pass and Bundled Tickets to S.E.A. AquariumTM & Adventure Cove WaterparkTM and until August 29, 2013 for the 3D/2N Sentosa Getaway, with hotel stay period of May 1 – August 31, 2013. 3. To avail of the offer, Cardholder must use his/her BDO / American Express Credit Card. 5. Universal Studios SingaporeTM and S.E.A AquariumTM + Adventure Cove WaterparkTM Bundled Tickets are valid for purchase of up to 6 tickets per card per transaction. 6. Offers are not convertible to cash or gift certificates. 7. Offers cannot be exchanged for other items or discounts and cannot be used in conjunction with other promotional offers, privileges and VIP cards. 8. For hotel room accommodations, advance reservation is required. Blackout dates and specific hotel standard terms and conditions may apply. 9. Rates may be subject to applicable taxes and/or service charges. What are you waiting for? Visit https://www.bdo.com.ph/promos/resorts-world-sentosa and book your trip to Singapore now!